Home > STEM > Apple Event 2019: What Can We Expect From Apple Now? Apple Event 2019: What Can We Expect From Apple Now? 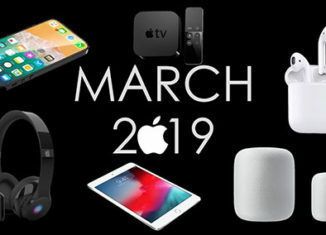 On Monday, March 25th, Apple announced the products and services it plans to launch as we move into the upcoming year. Rather than revealing new and exciting hardware, Apple chose to share those updates, including newer iPads, iMacs, and AirPods, the week before the keynote event. Instead of creating hype about its new gadgets and gizmos, Apple shined the spotlight on its Apple Card, Apple TV Plus, Apple News Plus, and Apple Arcade. The event took place at the Steve Jobs theater, which many found to be an appropriate venue, where Hollywood celebrities had a presence, and Apple was able to use the theater walls to create dynamic backdrops. The introduction of the Apple Card, a credit card that can be used virtually or with a physical card, was one of the event’s releases. The card has features such as immediate online sign up, app based support, simple statements, and spending tracking. The financial partnership with Goldman Sachs and MasterCard are behind the Apple Card, and it claims to have no fees, cash rewards, and admirable security features. Apple TV Plus is a concept that falls into the streaming services category, along with Apple TV’s new enhanced app. The app creates an easier transition to other sources and reseals a new design. The Plus subscription service will provide access to original content and possibly other movies when it releases this Fall. Another subscription based service will be Apple Arcade. Apple will offer a bundle of over 100 premium paid games for a single fee with no ads or required in-app purchases. It was designed with family sharing plans in mind and offers parental screen time controls as well. While the company currently offers Apple News, the Plus addition will increase the offerings to include over 300 publications, magazines, newspapers, etc. The anticipated $9.99/month subscription rate proves to be a great value to avid readers, and Apple is offering a free month trial, to test the content with its audience. The March 2019 Apple event, which was unique in the items it announced and the modes of presentation, saw a shift in Apple’s thinking. Its focus was on top-notch service and a Hollywood presence to invigorate attraction. The unveiling of the Apple TV Streaming service led excitement in the industry, and it will be interesting to watch these services roll out during the remainder of the year.